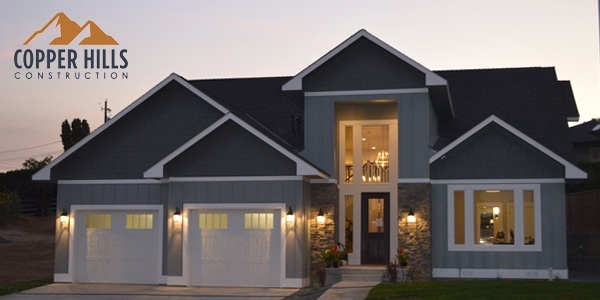 A custom builder for 18 years originally based in Utah, Jones started Copper Hills Construction two years ago. He is a one-man operation, a father of four, and an extremely busy guy. Which is one reason why he uses the internet for education. With a website and a facebook page, Jones clearly sees the value of social media, particularly for marketing strategies. Yet he has difficulty finding the time to devote to it. Jones’s reading materials reflect his desire to stay on top of industry trends as well as his commitment to the environment. Homebuyers frequently look to Jones for information. He advises them on best practices and material options, occasionally making recommendations. Jones believes brands could help builders by educating homebuyers. Jones knows it’s important to stay connected with building products manufacturers. Without a big marketing budget, Jones is looking for new ways to differentiate his business. At age 37, Jared Jones is young to own a construction company. (According to the NAHB, data from the 2013 American Community Survey (ACS) indicated that average age of a worker in the construction sector in Washington state is 42.) But he is the wave of the future for the building industry. Well educated and comfortable with the internet, Jones takes a high-tech, high-touch approach to information, searching the web and using digital information sources in combination with in-person learning through trade shows and local home builder association seminars. Building products brands that want to connect with Jones — and other niche or independent builders — should use a similarly multifaceted approach to create the high-tech, high-touch relationships that build brand loyalty and increase sales. Point To Point has developed a roadmap for getting this done in our new e-book, “Marketing to the Forgotten Builders.” This online resource illustrates marketing strategies geared especially for the hyperconnected niche building segment to increase their brand loyalty, build trust and increase product sales. To get the details and learn new marketing strategies focusing on this untapped market, download our e-book now.